We are bringing Asus PadFone Mini Review, smart phone with a screen diagonal of four inches, which is effortlessly transformed into a sleek 7-inch tablet. PadFone mini fit comfortably on the palm, and is characterized by a brilliant display of 1280 x 800. 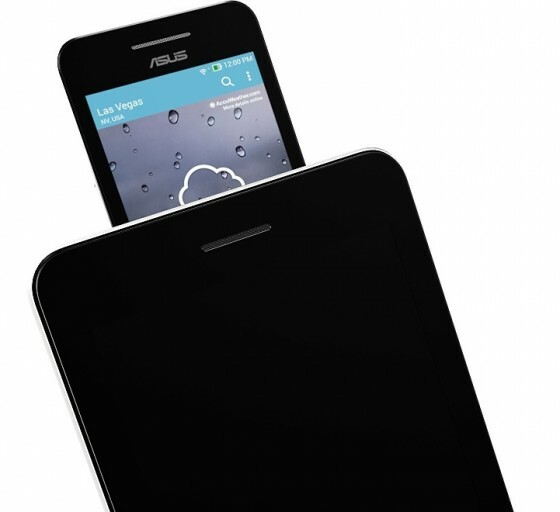 The latest edition of the very popular ASUS PadFone family runs an Intel Atom Z2560 processor, storage space of 8GB and a slot for a micro SD card that provides additional 64GB. 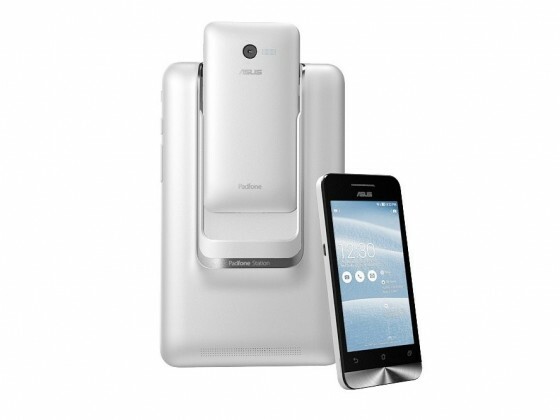 With the exclusive ASUS DynamicDisplay technology for automatic resizing applications for different screen size, excellent main camera of 8-megapixel (8MP), the front camera of 2MP and final design with concentric circles that have become a trademark of Asus brand, ASUS PadFone Mini is a great smartphone that comes in five colors. PadFone mini also supports two SIM cards, so that the user can have two different phone numbers and use separate data and telephone lines without the need for dual headphones. The device has the benefit of a ZenUI, a new user interface that is exclusively done for ASUS smart devices. Asus PadFone mini is the first device that is at the same time brings the convenience of 4-inch smartphone with the power and versatility of the 7-inch tablet. PadFone mini avoids having to hand carry two devices simultaneously, and weighs only 376g, which is much less compared to many other devices that combine the smartphone and tablet in a single device. PadFone mini is extremely thin and is only 6.3mm at its slimmest edge, and only smartphone weighs 116g. Both screens and 4-inch (800 x 480 pixels) and a 7-inch (1280 x 800 pixels), use + IPS (in-plane switching) technology for clear, sharp images, and they have a very wide viewing angles. To switch between smartphone and tablet mode is flawless, exclusive DinamicDisplay technology ensures that applications are currently changing at a size that matches the size of the screen. Interior PadFone mini device makes the Intel Atom Z2560 processor that runs at 1.6GHz to provide the necessary performance to run applications on smartphone and tablet, without slowing down. Despite sophisticated appearance, small size and weight, ASUS engineers have managed to equip PadFone Mini with a battery capacity of 3270mAh (12.8Wh). The main camera has an 8MP Sony BSI (backside-illumination) sensor and a wide aperture f/2.0 lens with the exclusive ASUS PixelMaster technology for digital photography, which by the quality is matched with photos that were shot with compact digital camera. PixelMaster Low-Light mode measures the availability of light and cleverly increases the size of the pixels in order to increase light sensitivity up to 400% – and that means PadFone mini has the ability to make good shots in low-light even without the built-in flash. PixelMaster includes many other options very easy to use, which further increases the power of digital photography, including HDR (High Dynamic Range), PanoSphere, Smart Remove and All Smiles options. PixelMaster has a Turbo Shot mode that allows users to capture multiple images in a single second. Asus PadFone Mini is also capable of recording high-definition content (1080p), and users even have the ability to take pictures while recording video. We can’t wait to see this tablet/smartphone on the market, but if you want great tablet then Asus Padfone Infinity is a great choice.